Home » Posts Tagged "Chignons"
Herrera Spring 2010 Mercedes-Benz NY Fashion Week show. 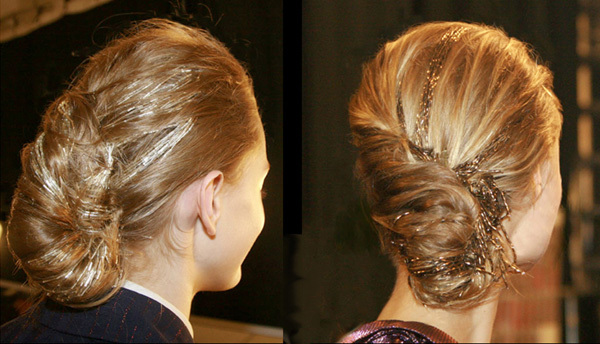 The beads showed through easy-going, gently twisted, tucked-under knots resting elegantly on napes. “The hair,” said Orlando Pita, “wasn’t stiff or structured.” For more, and some photos how to re-create this unique look, go to Fashion Weeks, Spring 2010.